Tai chi is gaining much popularity in the fitness world today. Having originated in ancient China, Tai Chi is an effective exercise for the mind, body and soul. Although, it is an art form that requires in-depth knowledge and skills, it is easy to master. Tai Chi offers an endless list of health benefits. Regular practise helps in dealing with stress in day-to-day life. It is a guide to relaxation, physical and mental health. It is practised by people of all age groups and from all walks of life and all fitness levels, throughout the world. Tai Chi is a form of Martial Arts known for its self-defence techniques and health benefits. The literal translation of “tai” is “big” and that of “chi” is “ultimate energy”. Tai Chi, therefore, aims at feeling the energy flow throughout the body, through movement. Tai-Chi is a gentle dance-like sequence. It is an equipment-free, no-expense form of workout, which, if practiced regularly provides a boost of energy and a feeling of liberation. 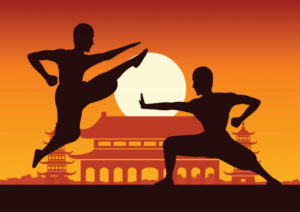 An effective form of Martial Arts, Tai Chi, is a blended form of therapeutic exercise. The learner begins by assimilation of individual movements, before putting them together to create a beautiful, calming, and soulful flowing sequence. 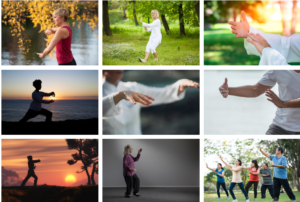 While Tai-Chi is a low-intensity, slow movement, the benefits of the form can be reaped early on, it is recommended you provide yourself with a sufficient amount of time to assimilate the movements carefully. It, thus, requires a long-lasting and consistent commitment of time and energy. 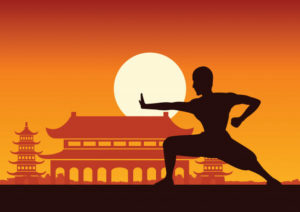 Rhythm and tempo are keys to a fluent Tai Chi technique, the rhythm being the breath. In Tai-Chi, regular breathing is coupled with slow, carefully measured movements to enhance internal balance and harmony. In order for the energy to flow uninterrupted through the entire body, the spine and limbs should be aligned correctly while the joints are open and loose. If you ever feel like the movement is not flowing correctly, make sure to check if you have, in any way, disrupted the equilibrium. One of the main benefits of tai chi is its ability to reduce stress, since it is a low-impact and safe exercise form that also includes meditation and focused breathing. Research has shown that regular practise of the form can help with anxiety and anxiousness, too. Tai chi has been shown to help reduce mood swings in case of depression and anxiety. The slow, mindful breaths, and blissful coordinated movements are said to have positive effects on the nervous system and mood-regulating hormones. Regular practise of tai chi may help improve sleep patterns. Research has shown this form of low-intensity martial art can also improve sleep in older adults with cognitive impairment. According to a group study, practising tai chi five times a week, 45 minutes a day has shown a certain amount of weight loss, even without any major lifestyle or diet changes. 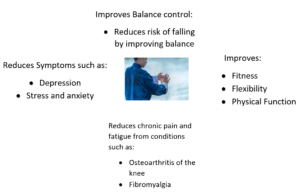 According to research, tai chi was found to have increased leg strength and balance, thus, reducing falls due to loss of balance in older adults and those suffering from Parkinson’s disease. • Focuses on a blend of fast and slow movements. • Advanced level of tai chi which is not recommended for beginners due to the inclusion of difficult movements. • Similar to Chen style, but less physically demanding. • Involves less crouching and kickboxing moments. • Lesser known and rarely practised style that focuses on accurate positions and internal strength. • When not performed with care, any exercise can cause an injury. Since tai chi is all about easy movements, it is unlikely to cause injuries or damages of any kind. • One area of the body you should be careful with while practising any form of exercise, is the knee area. Since there is a lot of shifting from side to side during tai chi, lots of times the body weight is on one leg. 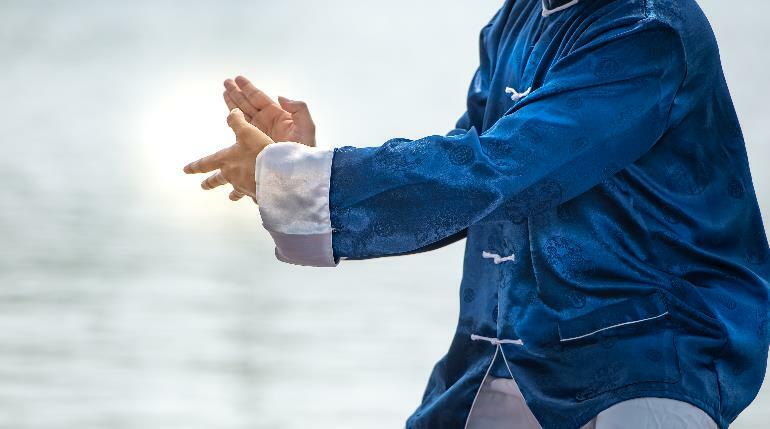 • Since tai chi focuses on proper posture, incorrect body posture may cause an individual to experience aches and pains, while practising this form. Hence, it is advised that a beginner take the process slow and steady, and perform the exercises only under professional supervision till the body gets accustomed to the correct postures. While this is a low-impact form of movement, it is best advised to consult a medical health care professional, before adding tai chi to your daily routine. Harvard Medical School best describes this “Meditation in Motion” as “Medication in Motion”. From fitness experts and children, to people recovering from medical ailments, anyone can easily adapt to this form of Martial Arts. If you want to hire Tai Chi instructors in India, we have some of the best Tai Chi Teachers. Have a look at Tai Chi Instructor Kavita’s profile here. Aellina has an impressive amount of experience in the field of education, teaching, and fitness. A poet at heart, she didn’t expect to become a writer, but “life can surprise you”. She is also a movie buff who loves to play the keyboard, and sing and dance to almost any genre of music. On a dull day, she prefers to plug in her earphones and “walk it off”. According to her, the best poems are the ones written in the wee hours of the morning. If you’ve played an integral part in her life, chances are, there’s a poem about you hidden in her closet somewhere!